Ticksmith’s Analytics Platform is the key solution for a Global Wealth Management and Investment Bank’s need for fast post-trade TCA (Transaction Cost Analytics). A global wealth management and investment banking company approached TickSmith for a solution to produce best execution and transaction cost analytics (TCA) from large amounts of financial data. They also required a future-proof solution that would allow them to accumulate data for various other use cases and applications. Additionally, the final solution needed to be implemented quickly and in a cost-effective manner. The client recognized that building the platform on their own would be a multi-year project that required deep knowledge of big data, all the while building and supporting the analytics. These were resources they did not have in-house. For this reason they contacted TickSmith, who recommended the client implement it’s Analytics Platform. However, the internal administrative users of this investment banking company had more business use cases than TCA. Another business requirement is backtesting their financial models on their historical data. TickSmith was able to provide a full spectrum solution to address this. TickSmith installed their Analytics Platform on the client’s AWS Cloud infrastructure. The platform is optimized for making full use of the client’s cloud compute and storage capabilities. The AWS Cloud enables this client to have turn-key analytics within a reactive environment, ensuring scalability and reliability. Additionally, clients are now able to deploy AWS solutions for smaller business use cases. Another major benefit of using AWS Cloud is that it is possible to manage big data at a fraction of the cost than using internal hardware. For example, Ticksmith initially had dedicated machines running an analytical database cluster that required a few hours of compute service to complete. It was necessary to maintain the cluster operational so they could query the data accumulated. The queries were small and sporadic, but required business hour availability. AWS Athena allowed TickSmith to meet the client’s availability requirements and enabled them to shut down the instances once the computing needs were met. This resulted in substantial cost savings for the client and allowed TickSmith to deliver a core feature of the platform at a fraction of initial estimates. We are constantly monitoring, analysing, adapting and improving our quality processes. There are so many dependencies and processes within the big data pipeline, even the smallest error or failure can pollute the analytics for a significant period of time. 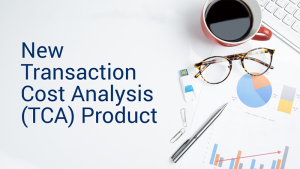 TickSmith’s Analytics Platform solution is different from other TCA providers in the market because the cloud infrastructure and data within is owned by the client. This protects sensitive content and provides the client programatic access to all the underlying data- either in raw, standardized, or derived format- quickly and securely. Operationalizing fast analytics in a big data environment brings with it a new set of challenges, one is that of real time quality monitoring. 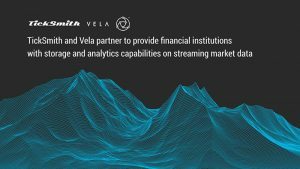 Within a short time of implementing TickSmith’s Analytics Platform, it became clear to this investment banking firm that, although the immediate need for Best Execution reporting and TCA was a pressing matter, leveraging the data for faster analytics and alternative use cases was proving much more valuable. As a result and as part of this project, the present goal at TickSmith is to capture, derive and deliver data even faster by continuing to push the boundaries of today’s big data technologies. Please include the location if applicable. © 2019 TickSmith Corp. We power your mountains of data.